Coaching | Blackhill Bounders Running Club. Good coaching includes taking into account each individual`s personal goals and ambitions, for some it may be to be the best they can be at the highest level, for others it maybe to get a bit fitter and enjoy their running. “Our club works in partnership with the Tony Blair Sports Foundation to increase the numbers of qualified coaches that we have volunteering within the club, ensuring that as a club we are able to grow and develop by supporting more members. Having more coaches will allow more individuals to join us and get active and will ensure that there are enough coaches in place to help new members when they join. We look forward to continuing the development of our club and are delighted to be working with the Foundation to achieve this. If you are interested in helping our club please speak with a member of the committee. 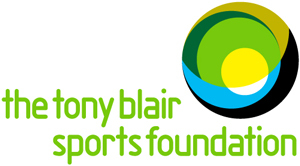 More information about the Tony Blair Sports Foundation can be found at http://www.tonyblairsportsfoundation.org/. Blackhill Bounders are a fully affiliated member of England Athletics and work closely with the North East club and coach support officer John Stacey. John has been a huge help in the development of the club, coaches and leaders over the past 2 years and we continue to work closely to develop the club further. To identify, plan and evaluate the development needs of runners. To supervise Assistants or Leaders in the delivery of sessions or part sessions. To manage the safety and welfare of those under coach supervision. To educate runners about all aspects of competition. To plan sessions and deliver a safe and fun warm up and a cool down. Demonstration and supervision of effective stretching. Leaders are qualified to lead sessions to athletes aged 12 years and older. Leaders can take a group out for a run unassisted as they will have covered health and safety and risk assessment on the course to cater for this aspect of the role.